Property of LaboGene ApS. Reprint or publication only with clearly stated source. 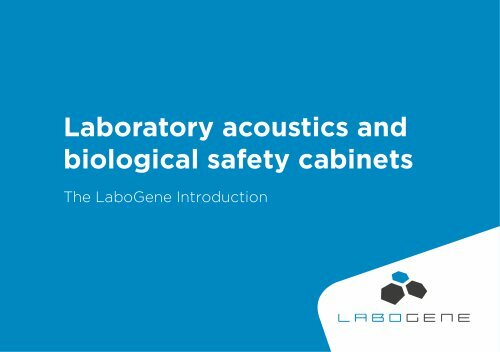 »» Applying the LaboGene acoustical BSC model ÝÝ With the LaboGene BSC model you can predict the sound pressure level in 3 positions 1. The reference position 2. The head position of the operator 3. A position representing any given position in the room more than 4 meters from the BSC 0,10m Ceiling Height H (m) Position 2 (P2) Position 1 (P1) Position 3 d >> dcritical (P3) Reference plane ÝÝ All you need is a tape measure and basic knowledge about the room surfaces LABOGENE APS | INDUSTRIVEJ 6-8 | DK-3540 LYNGE | WEB WWW.LABOGENE.